Q. What are the core elements of a successful recognition program? A successful employee recognition program can involve many elements. At the core of every successful employee recognition program lies the bond between your staff and your business, and the degree of alignment that your recognition program has with your business objectives. In simple terms, the bond between your employees and your business is the extent to which your workforce feels connected to the business. The stronger the bond, the greater the employees’ desire to perform. Building a bond between your business and your employees sounds like an odd concept. After all, isn’t it the people that “make” the business? As odd a question as it seems, most employees see the “business” as something separate from themselves, yet still want to feel appreciated by the business. When employees refer to the “business”, they’re referring to their leadership team. Managers, therefore, bear the responsibility for creating stronger relationships between employees and the “business”. In a report released in 2013 titled “The Power of Employee Recognition”, Aberdeen Group established that employee recognition was vital to driving employee engagement and organisational performance. Aligning your employees’ performance with business objectives need not be complicated. Setting the right key performance indicators to drive stronger operational performance is all that is required. In most cases, challenging employees to produce more output drives greater performance. Q. What is formal recognition? A. Formal recognition is a structured program that has processes for how to choose nominees for employee awards. Typically, formal recognition programs involve an award ceremony to recognise staff in a public and formal environment. Formal recognition involves a structured approach to nominating and rewarding an employee. This form of recognition requires at least one criteria to be satisfied before an employee is recognised. Rules are dependent on the nature of the business and degree of complexity involved in the employee’s work. Q. What is informal recognition? A. Unlike formal recognition, informal recognition is a less structured and “low cost” alternative to formal recognition programs. Informal recognition can be in the form of a small memento, such as a trophy or certificate, and a thank you note in acknowledgement of the employee’s performance. While informal recognition is a “low cost” alternative, research by BambooHR shows that as much as 30% of your workforce could be more satisfied if there were an informal recognition program in place. Q. Why are symbolic recognitions important? A. Symbolic recognition is meaningful to employees because of the lasting power associated with it. A trophy or certificate displayed on the employee’s desk serves not only as a reminder of past achievement but also as a motivator for future performance. Q. What is private recognition? A. Private recognition is the process of recognising an employee for their performance privately. Private recognition is a valuable tool for managers that have introverted employees. Using private recognition to reward introverts can foster a stronger personal relationship between a manager and an employee, strengthening the employee-business bond. Q. Must I tailor my recognition program for each employee? A. While the idea of creating unique rewards for each employee may seem like a daunting task, it can be very rewarding for your business. As a manager, getting to know each member of your team allows you to learn about their goals and ambitions, as well as their limitations and areas for improvement. Therefore, rewarding individual team members for personal achievement aligned with your business goals can empower employees. Q. What factors should I consider as I plan my new recognition program? 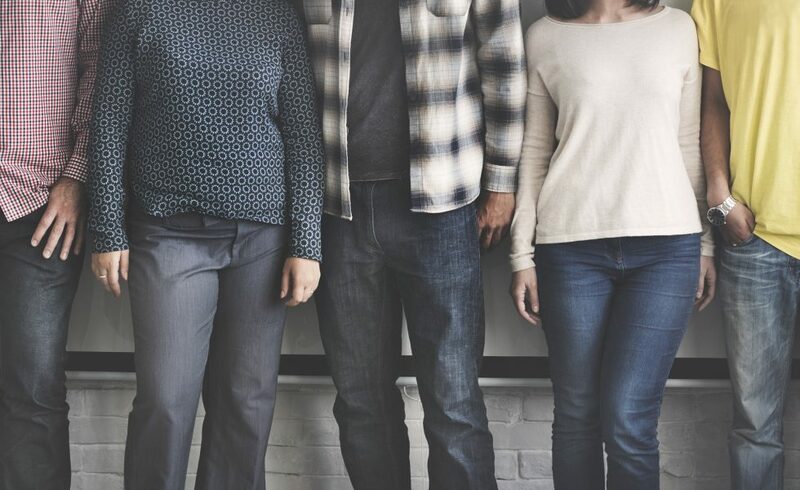 Identify your company culture, the makeup of your workforce (paying attention to diversity as this influences the nature of the employee rewards), and establish your employees’ most pressing human needs. Focus recognition on significant and milestone achievements, and know how to reward each. Choose the appropriate recognition and rewards for your employees. Rewards need to be deemed as valuable by employees to elicit higher levels of performance. Make sure your team understands how the program works and what performance qualifies for a reward. Treat your employee recognition program as a product launch, marketing it regularly with the use of brochures, posters, and other promotional materials. Create simple and efficient administration processes that allows for timely reward distribution. Q. What is the best way to communicate recognition? As Soon – Timing is critical, especially when it comes to positive reinforcement; don’t delay praise. As Sincere – Praise because you are truly appreciative of the individual’s performance. As Specific – Give details about the achievement to communicate that the achievement was not born in luck. As Personal – Praise if best delivered in person. If you can’t do so, make a telephone call. Your last resort would be a handwritten note. As Positive – Steer clear from criticism while giving praise to ensure that you do not devalue the recognition. As Proactive – Praise does not always need to be tied to important organisational goals. Take the opportunity to appreciate your team and its members whenever appropriate. Q. Why do most recognition programs fail? Too Complex. Poorly planned programs can become too complicated and therefore hard to understand, making employees lose interest altogether. Reward issuance isn’t timely. Administration of rewards and recognition can be a long and admin intensive process if not streamlined. Delays in recognition can lead to a lack of belief in the program and disinterest by employees. No buy-in. If employees and managers alike do not believe that the program will provide any personal and organisational benefit, the lack of belief will lead to zero participation. 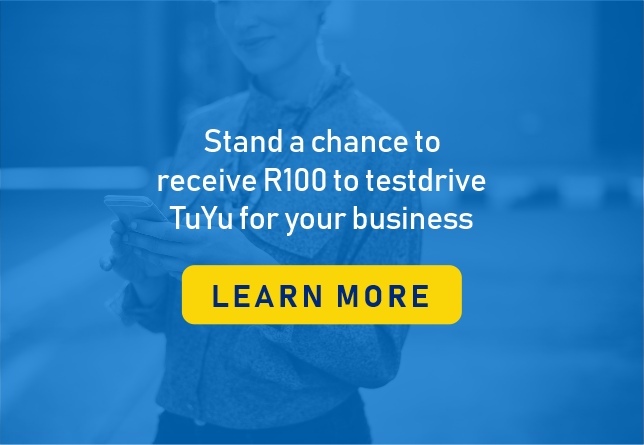 Well-planned and managed employee recognition programs have the potential to strengthen organisational performance and competitive advantage. 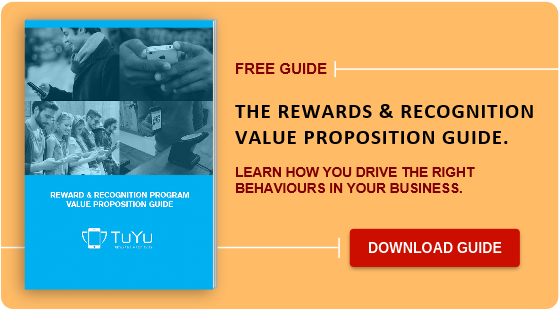 Download our Rewards and Recognition Value Proposition Guide and find out how TuYu can help you recognise your workforce using our easy-to-deploy, streamlined mobile rewards platform.